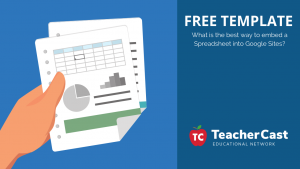 Save Time Each Day with our FREE Google Sheets Template and some Google Sites Magic! 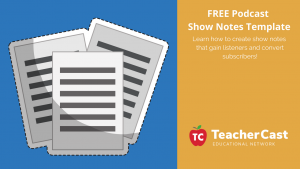 FREE Podcast Show Notes Template that Attracts Listeners and Converts Subscribers! 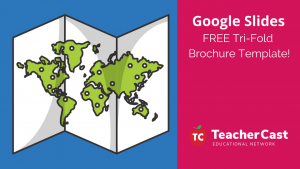 Create a Tri-Fold Brochure With Your Students using this FREE Google Slides Template! 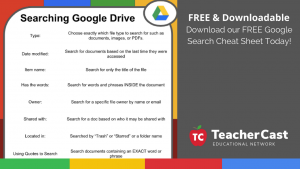 Google Slides is one of the most versatile tools for users of the G Suite applications. There are in fact hundreds of ways that you can use Slides outside of the traditional presentation that we have all come used to. Download this Blank ‘Tri-Fold Brochure Template Today! 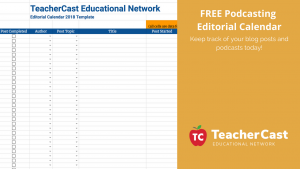 Are you looking to keep track of your blog posts and podcasts? 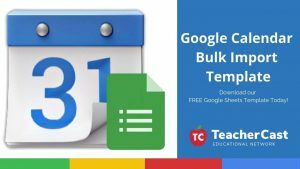 With this Editorial Calendar Template from TeacherCast, you will be able to keep track of all of your digital and downloadable content in one simple Google Sheet!